French Dip Reviews: 5 of 5 DeliciScore™ (From Heaven) Awarded to Kidd Valley for their Burger Dip Sandwich in Bellevue, WA on this 31st day of October, 2011 - What a wonderful and meaty, hot, cheesy burger dip! 5 of 5 DeliciScore™ (From Heaven) Awarded to Kidd Valley for their Burger Dip Sandwich in Bellevue, WA on this 31st day of October, 2011 - What a wonderful and meaty, hot, cheesy burger dip! 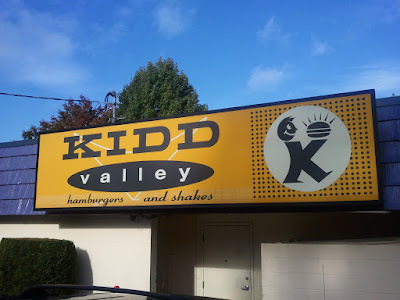 The sign at Kidd Valley, Bellevue Overlake area. 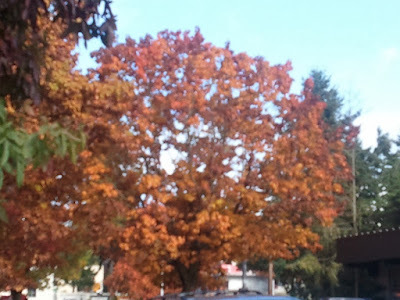 The fall colors were beginning to become more "dead". Depressing but it means that it'll be ski season soon! It was a lazy football Saturday in the fall at lunchtime and time for me to have a dip, so I headed down to my local Kidd Valley for their Burger Dip. I knew going in that it was a very fine sandwich but I hadn't had it for a while. I don't eat at Kidd Valley much but when I do I've enjoyed the Burger Dip, fried mushrooms on the side. $5.65 is a pretty fair price but by the time you get your side (I did fried mushrooms) and beverage you're just under $10. The lady at the counter was friendly and I got a dip, a side of fried mushrooms with ranch, and a lemonade. The price got to nearly $10 but I was okay with that. 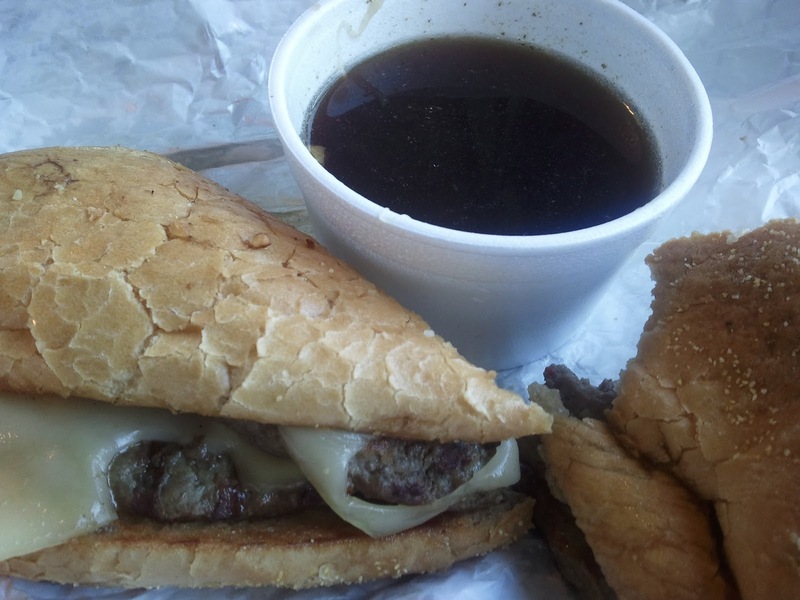 I had the option of getting BBQ sauce instead of Au Jus for my French dip but I went with the au jus. 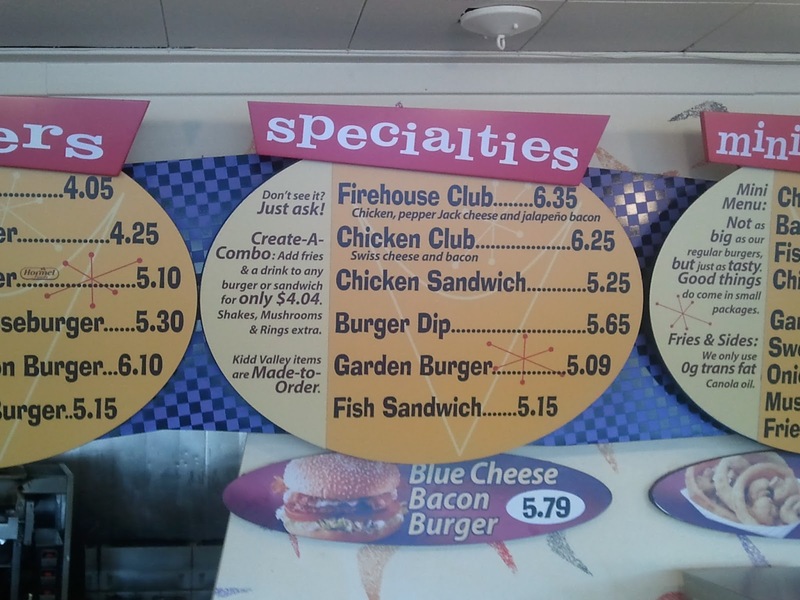 I ordered it with Swiss cheese since that's how it's offered but you have the option of Cheddar and American cheeses. The ladies behind the counter regaled me with how they like to order their burger dips. For some of you purists out there, you may believe that a burger dip isn't a French dip but I say it is. Here it is. Good portion, good looking cheese, nicely toasted bread, and a lot of meat! The dip arrived, wrapped in paper and served with my mushrooms. It looked very good, meaty and cheesy. No skewer, no big deal. Good looking French roll. Probably a standard type of roll but the way they toast it makes it look all crackly and delicious. Lots of very good ground beef in here and good-looking swiss cheese! 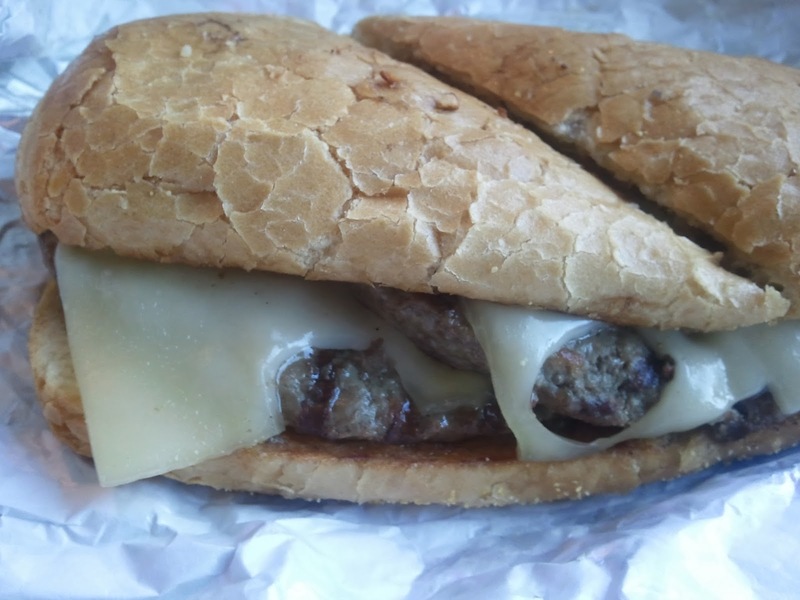 The meat on this sandwich (I suppose coupled with the au jus, cheese, and good, buttery bread) makes this sandwich really good. It's a very large (two patty) burger which makes it for a very hearty dip. I got Swiss cheese on this one which was actually quite good. It added to the texture and had a good, authentic flavor. There it is. Styrofoam container but tasty. You can see the fat floating in here, which makes it delicious. 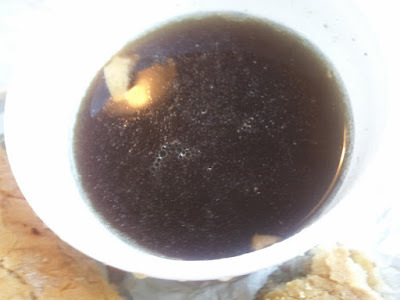 The au jus on this is really good. Totally solid. Nothing wrong. Drinkable. Good, semi-large portion with a lot of meat. The sandwich alone at $5.65 is a pretty good deal. The very good fried mushrooms with ranch and the lemonade made it a bit pricey for fast food at just under $10 but still well worth it!!! This is a great dip. The thing for me that really sets it a part is the great burger and the GARLIC BUTTER that they add to the bread. Although they don't tell you that this is something they do on their very simple menu, they do and it is delicious. It makes for a very butter, big, and juicy dip that's to die for. The mushrooms are great. The fact that they do garlic butter on the bread is wonderful, though rich. They provide the option of BBQ sauce as an alternative to au jus but it's not better. 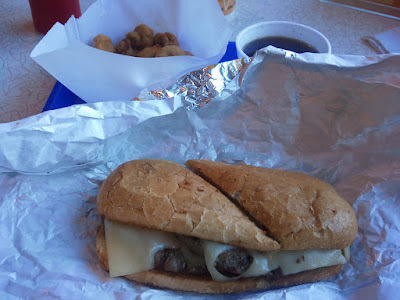 I tried it for two bites and although its delicious and there's a (big) place in my heart for BBQ sauce, I prefer (good) au jus to BBQ sauce on a French dip sandwich. Crackly and nice texture, absorbent from a basic French roll. Lots of really good burger. Very good, fine portion. Drinkable. A really hearty, great dip and they add garlic butter to the bun which makes it very rich and buttery. A hangover cure!? Reason to go back: Get what I got: the Burger Dip, fried mushrooms with ranch, and a lemonade!